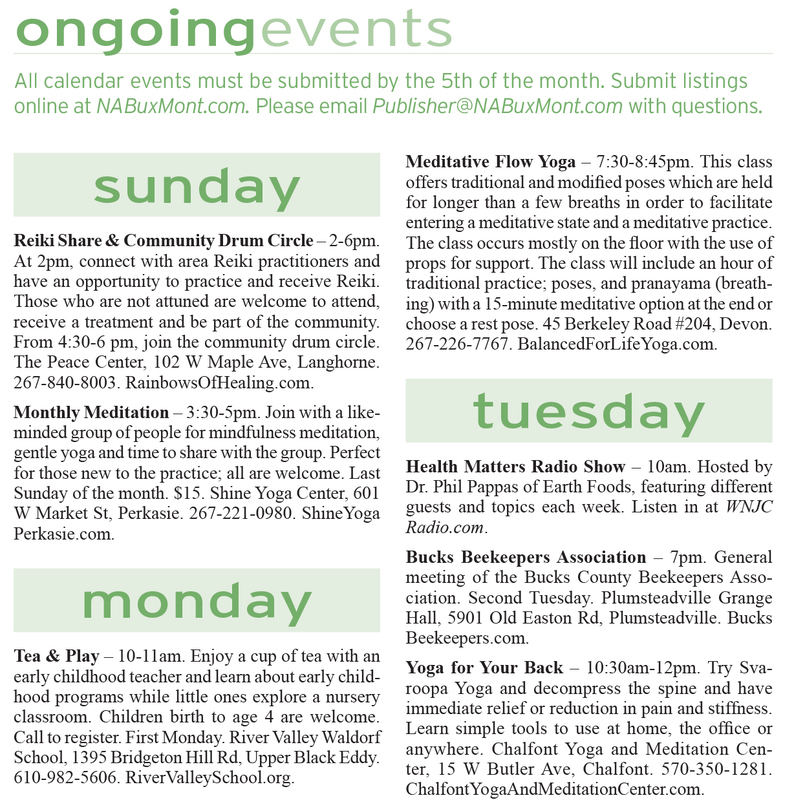 The Ongoing Events calendar is a wonderful resource for filling your workshops and events. This resource can be utilized by the whole community. Calendar listings are designed for businesses and institutions to offer additional ways to promote their knowledge, business and practice. Please see the example for this type of listing. Rate: $25 each for non-advertisers ($35 for extended length). Advertisers receive multiple events at no charge as part of their 6 and 12 month contracts. Please carefully double-check your submission for accuracy. We are not responsible for incorrect information provided. Also please ensure your submission is not in ALL CAPS. You will be asked to resubmit your listing if it appears in all caps.